Through a collaboration with Propellerhead Reason, Rex File Loop Player's Dr. Octo Rex has been gadgetized and added to the Gadget Plugin Collection. 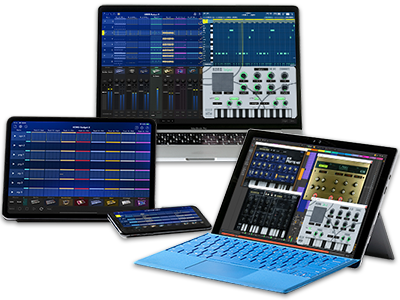 Support for VST/AU/AAX/NKS is now available for your preferred DAW. Update to the latest version and effortlessly take control of your loops and slices. Become absorbed in a rich music production experience made simple by the ability to freely and easily switch between your favorite drum loops and instrument samples. ・Stockholm by Reason has been added to the Gadget Plug-in Collection. Due to popular demand, the special summer sale for KORG music apps & software has been extended. The sale period ends August 26th, 2018 (Sunday). In-app purchases of audio sources will also be offered at sale price. Don't miss out on this opportunity to take advantage of the special discounted pricing! * Price of the IOS app will vary by the country of purchase. Home News KORG Gadget for Mac has been updated and features a new plugin: Stockholm by Reason. Sale extended by popular demand!